The Cuisinart CCB-395 is the grill cleaning brush with the latest innovation in grill cleaning. The brush head has been designed with bristles that are in a criss cross pattern to attack grill grime from every angle. 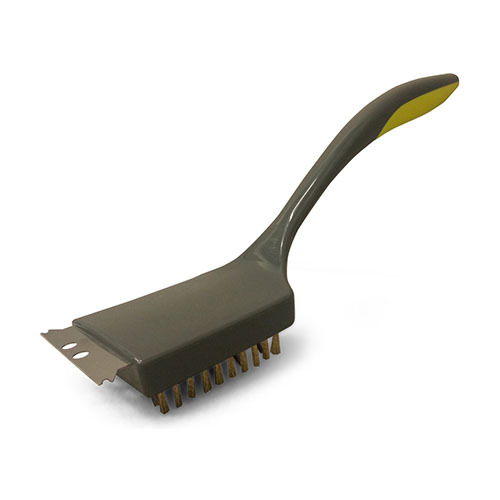 The brush head is 3.5" x 3.5" to cover a wide swath of grill surface with every pass, and the ergonomically shaped handle also features a rubberized grip so it can cleaned with ease and comfort. 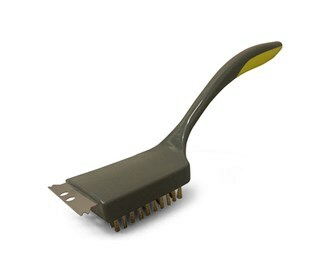 The Cuisinart Cross Action Grill Brush has many exciting features for users of all types. You can extend the lifetime of your Cuisinart Cross Action Grill Brush with the purchase of a FactoryOutletStore Factory Protection Plan. See the Cuisinart Cross Action Grill Brush gallery images above for more product views. The Cuisinart Cross Action Grill Brush is sold as a Brand New Unopened Item.